Although for the most part, observers are taking sides in the Russo-US conflict and hoping for the victory of their camp, Moscow is attempting to calm the atmosphere in the Middle East. It is therefore opposed to an attack on Israël by Iran, just as it was opposed to an Israëli operation against Iran in 2008. 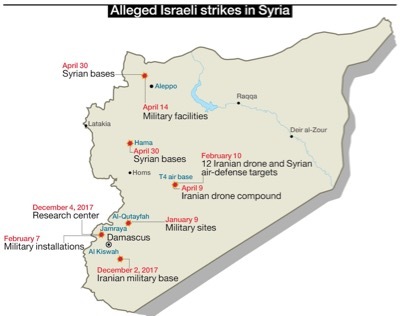 Israël fired nine missiles against two Syrian military bases in the night of 29-30 April 2018, causing serious damage. What is surprising about this operation is that the Russian radars did not transmit the alert to the Syrian authorities, who were therefore unable to intercept the Israëli projectiles. It transpires that the attack was aimed not at Syrian objectives, but at Iranian targets installed on Syrian bases. In honour of a treaty anterior to the war, Iran came to the help of Syria from the beginning of the foreign aggression in 2011. Without this assistance, Syria would have been beaten, the Republic overthrown, and the Muslim Brotherhood installed in power. However, as from September 2015, Syria has also been supported by Russia, whose firepower is far superior. It was the Russian Air Force who destroyed the underground fortifications – built by NATO and Lafarge – with their ’bunker-buster’ bombs, thereby allowing the Syrian Arab Army to recapture the ground they had lost. Russia’s intention is to eradicate the jihadist organisations and pacify the whole region. Then it hopes to restore the historical link between its Orthodox culture and Damascus, the original city of Christianity, in accordance with the strategy developed in the 18th century by Catherine the Great. Iran is now a country divided between three distinct powers – the Revolutionary Guard, President Rohani, and Supreme Leader Khamenei, who arbitrates their differences. The Revolutionary Guard is an elite unit, distinct from the regular army. They obey the Supreme Leader, while the army is under the command of the President of the Islamic Republic. 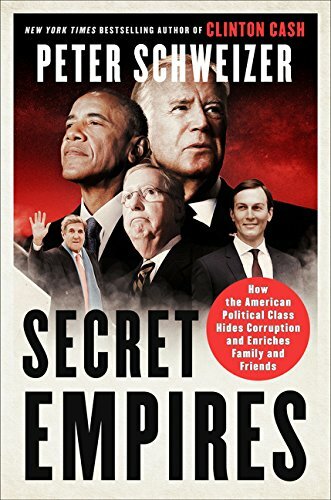 They are attempting to free the Middle East from Anglo-Saxon imperialism. They guarantee the protection of Chiites everywhere in the world, and in return, count on them to protect Iran. They are notably deployed in Yemen, Iraq, Syria and Lebanon. President Hassan Rohani is trying to extricate his country from the diplomatic isolation caused by the Revolution triggered by Imam Khomeini. He wants to develop international commerce and restore the status of dominant regional power which his country enjoyed during the reign of the Shah. Ayatollah Ali Khamenei, who is ideologically close to the Revolutionary Guard, is attempting to maintain the balance between these two powers, and thus the unity of his country. His role is all the more difficult since the tension between these two groups is at a paroxysm. Ex-President Mahmoud Ahmadinejad (from the Revolutionary Guard) and his ex-Vice President Hamid Beghaie, have been declared « bad Muslims » by the Council of the Guardians of the Constitution. The former has been put under house arrest, while the latter has been condemned to 15 years of imprisonment at the conclusion of a secret trial. Since the assassination of Jihad Moughniyah (the son of Imad Moughniyah, military head of the Lebanese Hezbollah) and of officers of the Revolutionary Guard, in January 2015, at the line of Syro-Israëli demarcation of the Golan, there are clear indications that Iran is attempting to implant military bases in the South of Syria. It may be part of a plan to organise a planned attack on Israël from Gaza, Lebanon and Syria. It is this project that Israël is trying to prevent, and that Russia now refuses to caution. From the Russian point of view, Israël is an internationally recognised state, and more than one million of its citizens come from the ex-USSR. It has the right to defend itself, independent of the questions raised by the theft of land and the current apartheid régime. In the contrary, from the Iranian point of view, Israël is not a state, but an illegitimate entity which is occupying Palestine and oppressing its historical inhabitants. It is therefore legitimate to bear arms against it. In this case, the Islamic Republic exceeds the analysis of its founder. Indeed, for Imam Khomeini, Israël is no more than a tool for the two main colonial powers, namely the United States (the « Great Satan »), and the United Kingdom. During the course of the last few years, Iranian statements about Palestine have become particularly confused, mixing political and religious arguments, and falling back on anti-Semitic stereotypes. For the last three years, Israël has been asking insistently for Russia to prevent Iran from installing military bases less than 50 kilometres from the line of demarcation. At first, Russia pointed out that Iran had won the war in Syria, while Israël had lost it. Tel-Aviv was therefore in no position to demand anything. 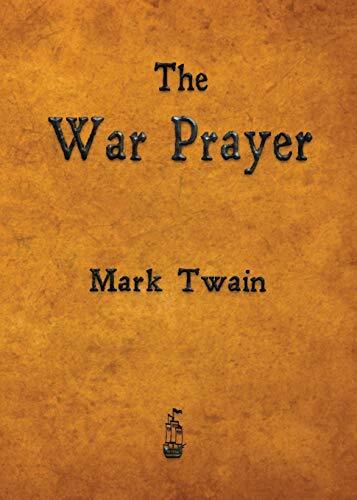 But we are now approaching the possible end of the war, and the Russian position has changed – it is out of the question to allow Iran to start a new conflict. It is exactly this same attitude that pushed Russia to bomb the two airports rented by Tsahal in Georgia, in 2008. At that time, it was a question of preventing an attack on Teheran by Tel-Aviv. Except that the laisser-faire this time is opposed to an initiative by Iran, and not by Israël. From the Syrian point of view, Israël is an enemy who is illegally occupying the Golan. During the war, Israël supported the jihadists de facto, and has already bombed the country more than a hundred times. However, this does not necessarily make the Iranian project any more welcome. Indeed, like Moscow, Damascus does not question the existence of the Hebrew state, but only the form of its régime, which excludes Palestinians. Above all, the Syrian Arab Republic does not want war with its neighbour, but peace. Presidents Hafez and Bachar el-Assad have both tried to negotiate – notably with US President Bill Clinton – but in vain. Furthermore, everyone knows that the Israëli army is unreservedly supported by the United States, and that to attack Israël is to a attack Washington. Syria, which has just weathered seven years of foreign aggression and is widely destroyed, could not engage in such an operation even if it wanted to. Consequently, Damascus, which has allowed Iran to install bases on its soil, will not proceed any further. Just as the possible end of the war has provoked the current crisis, it also weighs on the future of the 5+1 agreement. The United States will probably cease to be its guarantor. This multilateral agreement is not what we think it is. The text, signed on 14 July 2015, is exactly identical to the treaty negotiated on 4 April. However, over the last few months, Washington and Teheran have been negotiating, face to face, certain secret bilateral clauses, the contents of which nobody knows. However, everyone has been able to see that since the conclusion of this secret agreement, US and Iranian troops, present everywhere in the Middle East, have never been directly confronted. The public part of the agreement deals with the suspension of the Iranian nuclear programme for at least a decade; the cancellation of international sanctions against Iran; and a reinforcing of IAEA controls. This agreement is catastrophic for Teheran, which has, for example, been obliged to cease the teaching of nuclear physics. But it signed nevertheless, hoping for the cancellation of the sanctions which are very damaging for its economy. But hardly had the sanctions been lifted, they were re-imposed on another pretext (the missile programme). The Iranian standard of living continues to sink. Contrary to a commonly-held idea, the Islamic Republic had stopped seeking to develop the nuclear bomb in 1988, because Imam Khomeiny had convinced its leaders that weapons of mass destruction were contrary to Islam. However, they had continued to pursue their activities on civil nuclear power, plus some research on tactical military applications. Today, only those who seek to follow in the footsteps of the Shah – in other words, President Rohani’s group – are likely to want to re-start the military nuclear programme. But they will not do so, because of their excellent relations with Washington. A preparatory meeting of the World Conference on the follow-through of the nuclear non-proliferation Treaty is currently under way in Geneva. Iran and Russia are present, defending a motion which aims to declare the Middle East a « zone free from nuclear weapons » – a motion opposed by Israël, Saudi Arabia and the Western powers. The threat brought to bear from Syria by Teheran should perhaps be viewed as a means of pressure for the maintenance of the secret clauses parallel to the 5+1 agreement. Israëli operation against Iran in 2008. French intellectual, founder and chairman of Voltaire Network and the Axis for Peace Conference. His columns specializing in international relations feature in daily newspapers and weekly magazines in Arabic, Spanish and Russian. His last two books published in English : 9/11 the Big Lie and Pentagate.